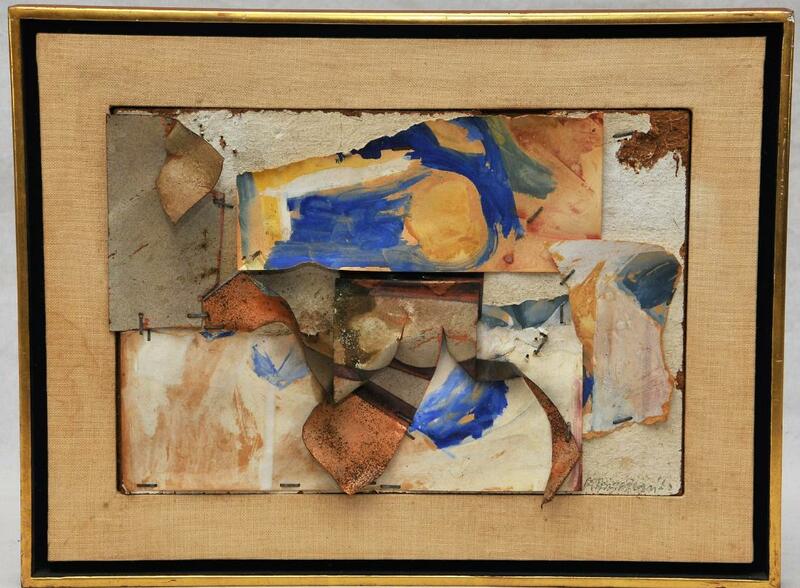 A mixed media collage by John Angus Chamberlain (1927-2011), signed and dated 1962 and made of painted paper and metal mounted to fiber board with staples, sold for $70,200 at an auction held June 4th by Tremont Auctions in Newton, Mass. Also, a group of Edward Steichen photo murals and related items created for the 1933 Century of Progress World’s Fair in Chicago and installed in the Hall of States, as part of the New York State exhibition, sold as two lots for a combined $67,860. Prices include the buyer’s premium. 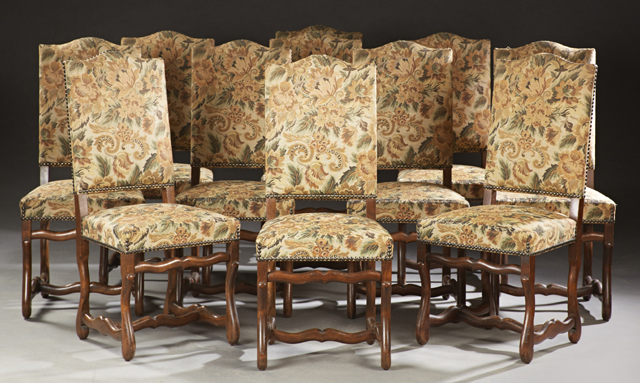 A set of 11 French Louis XIII-style carved beech upholstered dining chairs, in floral upholstery with iron tack decoration, sold for $2,706 at an Estates Auction held June 24-25 by Crescent City Auction Gallery in New Orleans, La. Also, a French ebonized ormolu mounted center table, circa 1870, brought $2,460; an American Aesthetic gilt and gesso pier mirror and marble top console table, circa 1880, fetched $2,583; and a painting by Robert M. Rucker went for $1,845. Prices include the buyer’s premium. 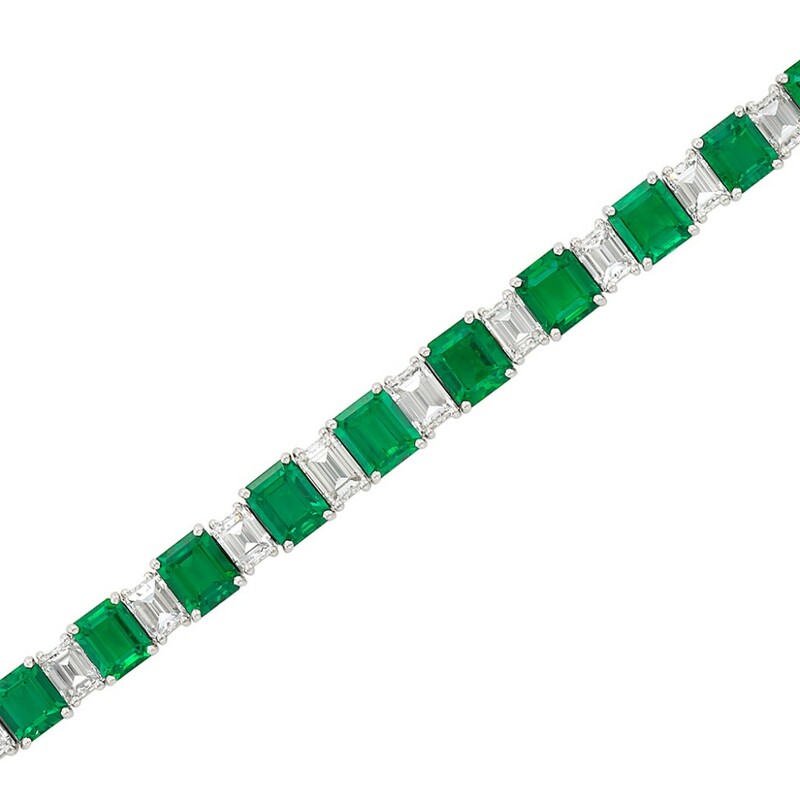 An elegant diamond and emerald straight-line bracelet sold for $53,125 at a Fine Jewelry Auction held June 21st by Doyle New York in New York City. Also, a classic engagement ring by Cartier set with an emerald-cut diamond weighing approximately 2.63 carats (VS1 clarity, E color) slipped onto a new finger for $37,500; and a gold ring by Cartier set with an emerald-cut Ceylon sapphire weighing approximately 7.55 carats sailed past its high estimate of $8,000 to go for $23,750. Prices include the buyer’s premium. Tiffany Dogwood floor lamp, $406,600, James D. Julia, Inc.
A Tiffany Studios floor lamp with all over Dogwood design and an unusual irregular floral lower border and massive 32-inch diameter shade sold for $406,600 at a Rare Lamps, Glass & Jewelry Auction held June 16th by James D. Julia, Inc., in Fairfield, Maine. Also, a Tiffany Studios leaded glass Wisteria window climbed to $257,850; a Tiffany Studios Dragonfly chandelier lit up the room for $228,100; and a Handel reverse painted underwater lamp gaveled for $36,300. Prices include the buyer’s premium. 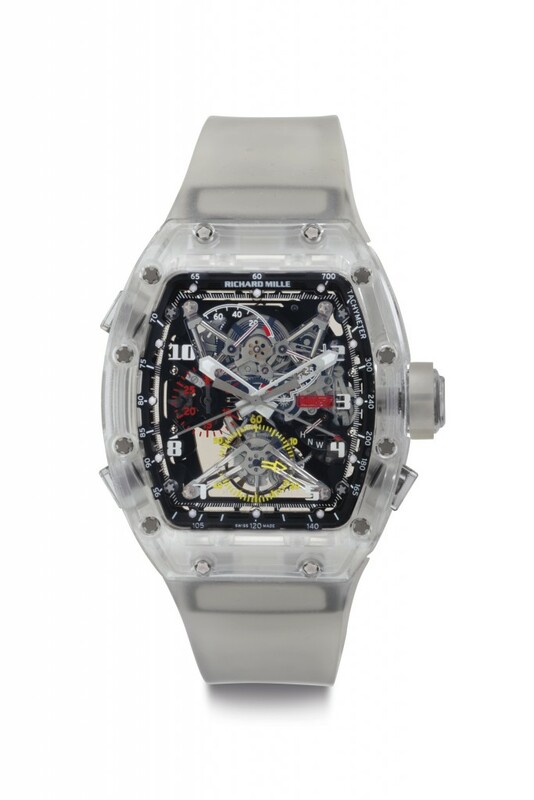 A sapphire split-seconds chronograph wristwatch by Richard Mille sold for $1.207 million (the most expensive wristwatch ever sold at auction in North America) at a Rare Watches & American Icons Auction held June 21st by Christie’s in New York. Also, a Cartier Tank watch once owned and worn by Jacqueline Kennedy Onassis finished at $379,500 (a new world record for a Cartier Tank); and the Rolex “Paul Newman” wristwatch in 18kt gold with “lemon” dial rose to $871,500. Prices include the buyer’s premium.